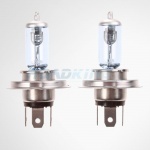 At roadking.co.uk we stock a large selection 12v vehicle light bulbs for replacing car, van and other 12 volt vehicle bulbs. Replacing your bulbs will not only illuminate the road ahead, but also make sure your car remains visible, increase your safety and reducing the likelihood of an accident. Making sure all your vehicle bulbs are in full working order is a important part of car maintenance. Our 12v bulb sets are ideal to keep in the car just in case of an emergency. We sell a full range of 12v car bulbs including, 12v xenon bulbs, H4, H7, 12v halogen bulbs and 12v bulb sets. We offer many bulb replacement variations for all the lights in your vehicle including brake lights, headlights, indicator lights and headlamps. 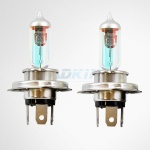 Looking for 24 volt Bulbs? Click here.